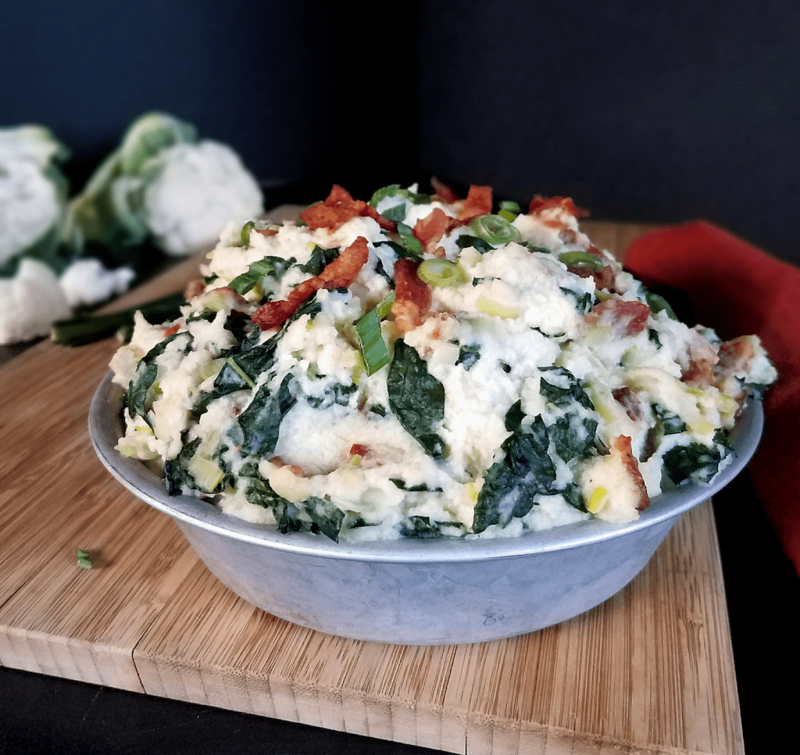 This mouthwatering mashed cauliflower with kale and bacon is an allergy-friendly and low-carb twist on the traditional Irish Colcannon! Bacon and leeks add so much flavor that nobody would know that cauliflower has replaced potatoes or that it’s gluten-free, dairy-free, nightshade-free, low-carb, keto friendly, Paleo and Whole30 compliant! Of all the holidays, St Patrick’s Day is one of my favorites. I mean, who could blame me? I’m part Irish and my husband is mostly Irish. Green is my favorite color, and I like to eat, drink and be merry, which is how St Patty’s Day is celebrated. It’s just my kind of holiday! Since St Patty’s Day is right around the corner, I’m planning to celebrate by doing what the Irish do and eating what the Irish eat. Corned beef and cabbage is on the menu in my house since it’s my favorite Irish dish, but I also like other popular Irishes, in particular a dish called the Colcannon. 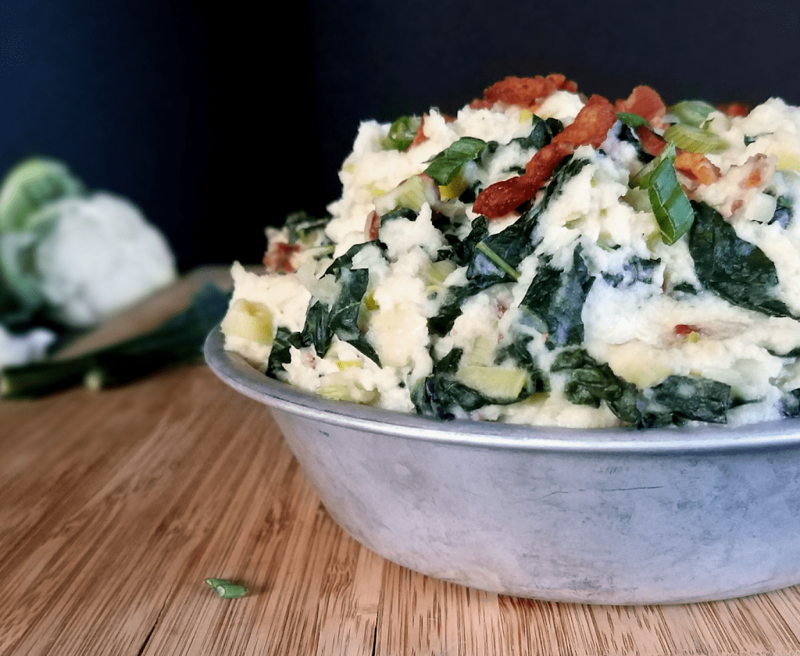 The Colcannon is traditionally made by mixing mashed potatoes with cabbage or kale and butter, but additional ingredients are sometimes added, such as leeks, bacon or cheese. No matter how it’s made, the Irish Colcannon is hearty and delicious! The Colcannon, like so many Irish dishes, includes potatoes, which are not just starchy, potatoes are one of the vegetables in the nightshade family. Nightshades and starchy foods can both be problematic for some folks, so I made a low carb and nightshade-free Colcannon by sustituting my Mashed Cauliflower recipe for regular mashed potatoes. The result is a Colcannon that is not just nightshade-free, low-carb and keto diet-friendly, it can also be made dairy-free and therefore Paleo and Whole30 friendly! Not only is this Low Carb Irish Colcannon friendly to special diets, it’s full of cruciferous vegetables, which are a nutritional goldmine. Cauliflower is lower in calories and carbohydrates than potatoes. It’s also high in fiber and a good source of vitamin C, vitamin K, B6, folate and choline. Those nutrients are essential to many functions in the body, such as bone health, making neurotransmitters that regulate mood and keeping the skin healthy, but cauliflower offers even more benefits than that. 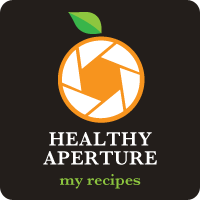 It also contains the antioxidants sulforaphane, isothiocyanates, and glucosinolates that research shows may help to fight cancer, balance hormones and keep the heart healthy (source). Check out this article by Well-Being Secrets if you want to learn more about the health benefits of cauliflower. I chose to use kale in this recipe because it offers even more benefits to the body than cabbage. According to the World’s Healthiest Foods, kale is an exceptional source of vitamin K, which is necessary to direct calcium into the bones and teeth. Kale also contains vitamin C and carotenoids that the body can turn into vitamin A, both of which act as antioxidants in the body. It’s also a good source of the minerals manganese, copper, calcium, and potassium in addition to vitamin B6 and fiber. Kale truly is one of the most nutrient dense vegetables available! Lacinato kale (a.k.a. dino or Tuscan kale), the variety used in this recipe, is one of the most nutrient dense varieties of kale. Like cauliflower, kale also contains glucosinolates, compounds that the body can convert into cancer-fighting compounds like indole-3-carbinol and sulforaphane. These are just two examples of compounds provided by kale and other cruciferous vegetables that have been studied extensively for their ability to prevent and possibly even treat different types of cancer, such as breast and colon cancer. 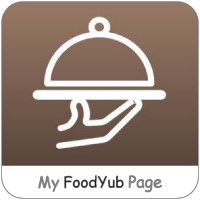 Check out this article from The World’s Healthiest Foods if you want to know more. Since kale tops the list of the most nutrient dense foods, I could go on and on. But I’ll conclude with two more facts, the first that the isothiocyanates and sulfur in kale have been shown to support the body’s detoxification process, which is crucial in today’s world of chemicals. In addition, the USDA recognizes kale as the richest source of lutein (out of over 5,000 foods), an antioxidant that research has demonstrated protects the eyes from glaucoma. You can see why kale is called a superfood! In addition to providing even more of the same nutrients that kale and cauliflower provide, leeks are known to be one of the top 10 best prebiotics, or foods that feed the good bacteria in our intestines (source). Those good bacteria, better known as probiotics, are known to help regulate our immune system as well as our digestive system. Recent research is showing that probiotics do far more than that, so feeding those probiotics with prebiotic foods is very important! I just went through a lot, so let me summarize the health benefits of this dish by saying that it contains ingredients that are not only very nutrient dense, they provide important antioxidants and fiber that feeds the good bacteria in your gut. Cheers to this nutritious, low-carb, keto, nightshade-free, Paleo and Whole30 friendly dish that you can enjoy on St Patty’s Day! Kale: I use lacinato kale for this recipe. It’s also known as Tuscan black cabbage or dinosaur (“dino”) kale. Thankfully, it’s widely available at supermarkets and easy to grow because I find it so much easier to work with and better tasting than curly kale! You can remove the rib, but I don’t find it necessary since the ribs are smaller and more tender than the ribs in curly kale. If you read the Health Benefits & Nutritional Info section above, you also know that lacinato kale is more nutritious than curly kale, so use it if you can! Cauliflower: You could certainly purchase a head of organic cauliflower and chop it into pieces to make this recipe, but a 1-lb bag of frozen organic cauliflower would work, too! The good news about buying a bag of frozen organic cauliflower florets is that it has already been cut into florets. I have found frozen organic cauliflower at an affordable price at both Costco and, believe it or not, Whole Foods (365 brand). Bacon: You should always use bacon that is free of preservatives and comes from farms where the animals are treated humanely, such as any bacon you can buy at Natural Grocers or Whole Foods. But this recipe can also be made Paleo and Whole30 friendly by choosing a bacon without sugar. I have found two options, either U.S. Wellness Meats (an online retailer) or Wellshire Farms sugar-free bacon, which is available at Whole Foods. 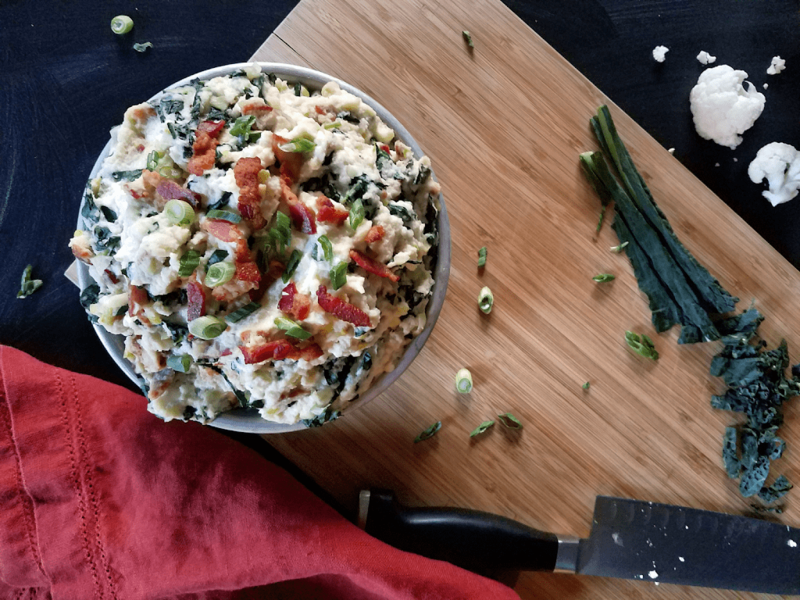 Mayo: the mayo you use to make the cauliflower mash in this recipe will also impact whether or not it’s Paleo and Whole30 friendly. 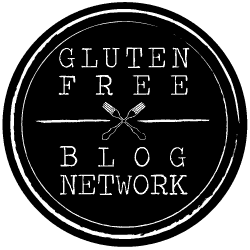 Chosen Foods Avocado Oil Mayo is Paleo-friendly, but Primal Kitchen Mayo is both Paleo and Whole30 friendly. If you need a mayo that is egg-free, I recommend Just Mayo by Hampton Creek. It’s not Paleo or Whole30 compliant, but it is the best egg-free mayo I’ve tried. Butter: If you use real butter for this Irish Colcannon, do as the Irish do and use KerryGold grass-fed butter! It comes from cows grazing on green grass in Ireland, and it is surprisingly affordable at Costco. For the Paleo or Whole30 version of this recipe, chose a dairy-free butter alternative or non-hydrogenated, palm oil based shortening. Nutiva makes a red palm/coconut oil shortening that tastes surprisingly like butter. It can be purchased at most health food stores, but it can also be purchased at VitaCost by clicking on the link above. Last but not least is a good blender or food processor to make the mashed cauliflower part of this dish. I use the blender portion of my Ninja Master Prep and it works wonderfully! This handy gadget comes with both a blender and small food processor for less than $40. It has been one of the most useful kitchen gadgets I’ve bought! 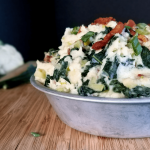 This mouthwatering mashed cauliflower with kale and bacon is an allergy-friendly and low-carb twist on the traditional Irish Colcannon! Bacon and leeks add so much flavor that nobody would know that cauliflower has replaced potatoes or that it's gluten-free, dairy-free, nightshade-free, low-carb, keto friendly, Paleo and Whole30 compliant! Chop the bacon into 1/2 inch pieces. Cook until the fat is rendered and the bacon is crispy. Remove with a slotted spoon and set aside. Reserve about two tablespoons of the cooked bacon for garnish, if desired. Keep the bacon fat for cooking the leek and kale. While the bacon cooks, cook the cauliflower florets either by steaming on the stovetop or in the microwave. When the cauliflower is done cooking, add it to a blender or food processor along with the butter or non-hydrogenated shortening. Let it melt for a few minutes before adding the mayo and salt. Blend until smooth, stopping to scrape the sides down as needed. While the bacon finishes cooking, chop the leek finely and the kale into 1/2 inch slices. After you have finished cooking the bacon and removed it from the pan, add the leek. Cook for 4-5 minutes or until soft. Add the kale and cook for another 1-3 minutes. Add the cooked vegetables and bacon to the mashed cauliflower and stir until incorporated. Garnish with cooked bacon and slivered scallions, if desired. Serve with corned beef, lamb or another Irish entree. I hope you enjoy this dish and have an awesome St Patty’s Day! I love the addition of the mayo!! Creaminess without the dairy! My kids loooove colcannon. I’ve never tried it with cauliflower instead of potatoes. I love this combo of ingredients. 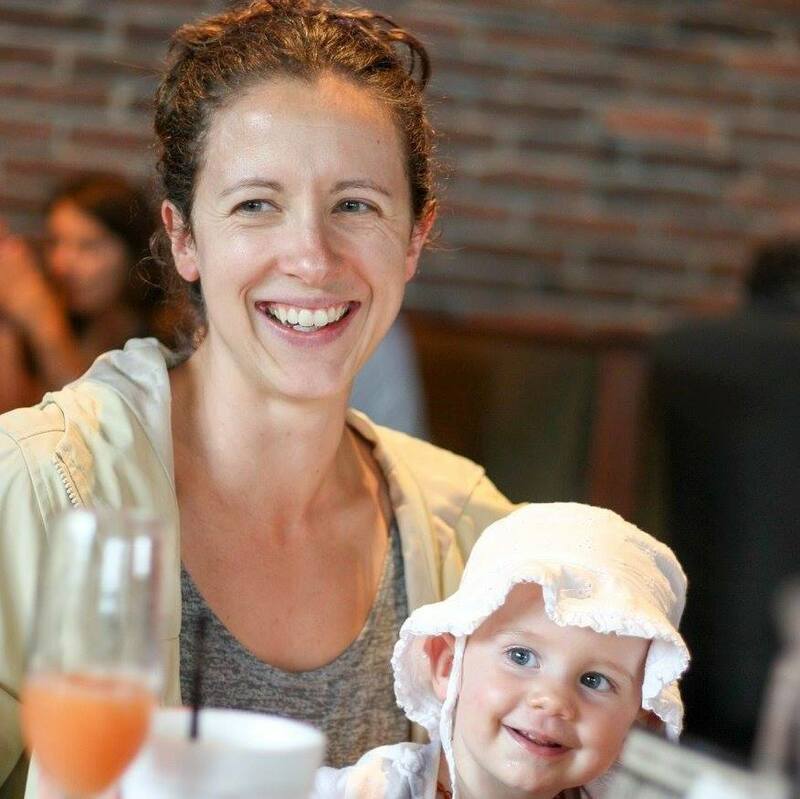 I make this a lot – St. Patrick’s Day or not! I’ve never had Colcannon before but sounds delicious! Cauliflower and bacon? Yes please. I have never tried an Irish Colcannon but am loving all of the ingredients in this! It looks tasty, nutritious and like perfect comfort food! Wow! It looks so creamy delicious. I love the bacon and kale combo, too! I need to try this! I haven’t had colcannon in years, and I bet it’s so delicious with this low-carb twist. I’ve never had Colcannon, but I love that your version is made with cauliflower, sounds delish! I have never tried anything similar to this but looks really appetizing. I love this Irish dish being made low carb. Perfect for Saint Patrick’s day!